Many developing divers find that formal agency-provided certification courses don’t always provide the specific training, specialist knowledge or ability to refine skills that they desire. I offer a series of advanced diving certification clinics, group workshops and individual mentoring programs that aim to supplement the formal training system by offering value-added education on a range of general and specialist scuba topics to suit individual diver needs. Clinics can be either totally flexible to your needs, or can be based on a pre-set syllabus. Contact me to discuss your unique goals and let me help you achieve what you want! I offer a range of exclusive advanced diving clinics on specialist subjects. Not available anywhere else, these clinics are invaluable opportunities to attain specialist knowledge and advanced skill competencies. Students receive exclusive certification cards to recognize their high attainment. I run regular group workshops on a number of topics. 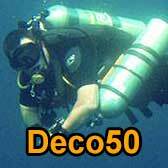 These are a very cost-effective way for groups of divers to access advanced diving training. 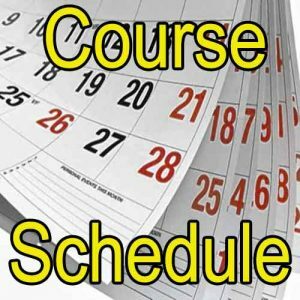 Scheduled events are listed in my Course Diary, but can also be arranged upon request. Attendees receive a diploma for participation. In addition to ‘off-the-shelf’ clinics and workshops, I am proud to offer exclusive mentorship programs for long-term diving development. These may consist of both formal qualification courses and informal one-to-one training. The mentor system is very consultative and personal. It targets your specific diver goals and establishes a cost & time effective program to achieve them. 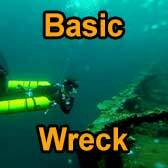 This is the perfect method to develop world-class diving skills…to become an expert-level wreck diver… or progress from basic to technical diving levels. This 4-day/8-dive workshop provides skills and knowledge needed to conduct limited penetration dives using sidemount configuration. 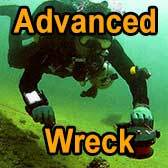 In addtion, PADI Wreck & Sidemount qualification may be awarded upon completion of training. The workshop includes; overhead environment sidemount configuration, core sidemount diving skills, wreck hazards awareness, wreck penetration planning, guideline deployment and retrieval, zero visibility protocols, overhead emergency drills. Pre-requisites: Advanced Open Water Diver or equivalent, Minimum 18 years of age. This three day clinic is designed to develop on a divers’ fundamental competencies in sidemount and wreck penetration diving. Six sidemount dives are conducted to practice more extensive wreck penetration and confined-area sidemount techniques. The training emphasis is upon safely maximizing the benefits of sidemount configuration for the exploration of overhead wreck environments. A sidemount equipment practical includes overhead environment configuration and adaption for the divers’ existing rig. Pre-requisites: Sidemount Diver + Wreck Diver + Nitrox Diver or higher, Minimum 18 years of age. This 3 day/6-dive clinic addresses the issue of core foundational diving competencies to enable diver development towards prerequisite capability levels for technical diving training. The course (and certification) may be earned in Single Tank, Double Tank and Sidemount configurations. 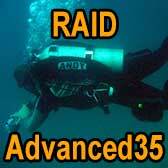 Topics covered include: Precision buoyancy, weighting and trim, non-silting propulsion techniques (modified flutter kick, frog kick, helicopter turn, back kick), situational awareness development, team diving, task loading, gas management, advanced dive planning and K.I.S.S. equipment considerations. Pre-requisites: Open Water Diver or equivalent, Minimum 18 years of age. This 6-dive/3-day clinic provides dedicated focus on the use of guidelines for wreck penetration and substantially expands upon the basic one-dive introduction to line laying that is contained within the usual Wreck Diver courses. Students will have the opportunity to practice laying line and applying proper team and emergency protocols whilst following guidelines under simulated zero visibility conditions. Training is conducted in open-water and overhead environments. Pre-requisites: Wreck Diver or equivalent, Overhead Environment Protocols, Nitrox Certification (>40%), Double Tank Proficiency (back/side-mount), Minimum 18 years of age. This 2 day/2 dive workshop focuses on specific techniques for video filming within an overhead environment. It is primarily focused on the use of GoPro HD cameras and the specialist techniques needed for safe and effective filming in very dark, silted and confined areas. 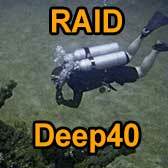 Clinic includes an equipment workshop and 2 actual penetration filming dives. The course covers: Optimal configuration of video rig for overhead environments, Goodman Handle rig construction, Effective lighting, Filming techniques, Pre-Dive planning, Safety considerations and Post-editing. Pre-requisites: Wreck diver or equivalent, Minimum 18 years of age. This one day/2-dive workshop provides the training required for divers looking to switch from a single cylinder to a twinset/doubles. Various configurations, equipment rigging and hose routing are covered. Essential drills, such as gas shutdowns, are covered and then put into practice during two supervised dives. A variety of equipment approaches are included as practical applications, but the focus of configuration is a ‘DIR’/Hogarthian system. Pre-requisites: Advanced Open Water or equivalent, Minimum 18 years of age. This exclusive 2-day/2-dives clinic provides divers with the ability to calculate their personal SAC/RMV and cylinder capacity and use this within their dive planning to predict their gas requirements and approximate gas duration. This training enables effective precision dive planning, along with the selection of appropriate volume redundant air sources. The clinic also includes ‘rock bottom’ gas management procedures to ensure that appropriate gas reserves are established for buddy/team diving. This 1 day/2-dive clinic provides the diver with an in-depth understanding of gas redundancy for scuba diving. Many diver under-estimate the skill needed to effectively plan and utilize redundant air – putting themselves at more risk, when trying to be safer. Topics covered include: Calculating necessary gas requirements, gas redundancy philosophies, pony cylinder configuration and operation, sidemount diving overview, double-tank overview (manifold/independant/isolator doubles). 2 training dives are conducted using pony cylinders. This 1 day workshop provides skills and knowledge aimed to make the scuba diver more self-sufficient and reduce reliance upon other divers to deal with personal emergencies. This is not a solo diving course. It is aimed to create confident recreational divers who take personal responsibility for their own safety and know the right steps to mitigate common diving risks. The workshop includes; safe mindset, equipment inspection, selection and use of redundant air sources, gas management, self-rescue techniques, the panic cycle, common equipment problems, stress management, risk assessment, risk mitigation and contingency planning. This 2 day/2 dive workshop focuses on precision dive planning techniques and aims to enable divers to gain a greater understanding of the full range of dive planning options available to them. The aim is to cover all factors necessary, in order to pre-plan a safe dive that can fulfill specific goals and objectives. The course covers: SAC/RMV calculation, gas requirement calculation, rock bottom gas management, no-decompression calculation (table/computer recap), use of enriched air and helium enriched gas mixes, turn-point calculation, rule of thirds, redundant gas calculation, multi-level profile considerations, ascent procedures, navigation and route planning. Due to popular demand, I have created a number of supplemental workshops that address key development goals that are important to most divers. All workshops are designed to provide access to critical advanced knowledge and skills, that are not included within the curriculum of standard recreational level diving courses. Many of the skills, procedures and concepts integrated into these workshops are drawn from high-level, technical, training schemes. Fast-track your diving evolution with my exclusive and unique training opportunities. Pre-requisites: Wreck Diver or higher, Minimum 18 years of age. 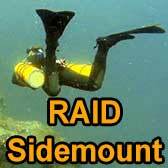 Pre-requisites: Sidemount Diver or equivalent, Minimum 18 years of age. This flexible workshop is designed to provide an interesting challenge and wreck diving learning experience for divers. The workshop will designate a particular wreck for study. The group will learn how, as a team, they would go about conducting in-depth research, survey and identification of the wreck. This is conducted as a challenging project for the group. Each theory/practical session is followed by an opportunity to use their own initiative to conduct research using a myriad of local and remote sources. This research is supported by a progressive series of survey dives to collect information from the wreck itself. Workshops may conclude with the student delivery of an audio-visual presentation, a written and illustrated report and/or the creation of an online (webpage) research record. This exclusive workshop provides an opportunity for qualified rescue divers to refine, adjust and develop their approach to diving emergency management, first-aid and in-water rescue techniques. For existing rescue divers, it is aimed to develop upon the solid foundations of their Rescue Diver training course; allowing further practice and refinement of skills through additional scenario-based training opportunities. Most divers love the Rescue Diver course, but in-grained skills take more practice than is typically offered. For non-rescue trained divers, it is aimed to function as an introduction to diving emergencies, with a strong emphasis on self-rescue and development of fundamental open-water emergency techniques. A combination of theory lessons, group discussions and in-water practice ensures that divers become safer, more confident and aware of their limitations. Accident avoidance is a key focus at this level. Pre-requisites: Open Water or equivalent, Minimum 18 years of age. Many divers have specific areas of development that they wish to concentrate upon – and this option provides a flexible and focused opportunity to make real improvements to your diving. Suitable for novice beginners to instructors or technical divers, you can take advantage of my 22+ years of recreational, technical exploration and wreck diving experience to fine tune every aspect of your diving. This is the perfect option if you desire a one-on-one personal assessment of your diving capability, coupled with dedicated support to build upon your strengths and remedy any identified weak areas. Mentorship also includes advice and support for the student with equipment configuration (single tank/sidemount/backmount). Specialist development is possible for sidemount, technical and wreck penetration diving. The mentorship program is entirely flexible, to suit your schedule, budget and goals. It can be a short-week of dedicated one-to-one diving tuition, or an extended program over weekends etc. I charge a flat daily expenses rate for instruction, depending on location, plus the cost of any diving conducted. 1. Detailed Consultation. The program begins with in-depth consultation between myself and the student. The student is given a self-appraisal for completion, and should identify any specific goals they wish to achieve. 2. In-Water Assessment. On the first in-water training session, the student is given a comprehensive assessment of their foundational scuba competencies. These include; buoyancy, weighting, trim, propulsion, situational awareness and team skills. They will also be appraised on their dive planning and the general conduct of the dive. Subsequent assessment dives may be used if development of specialist diving activities are a goal (i.e. 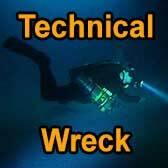 wreck penetration skills, decompression diving). 3. Developmental Critique. On the basis of the in-water assessment, myself and the student carry out a constructive critique of their strengths and weaknesses. The use of HD Video recording during dives enables accurate and insightful self-assessment by the student. This process enables further consultative planning to create a structured program of remedial, refinement and progressive skills training. 4. Development Training. Training dives are conducted to refine, re-mediate and develop established critical skills. Each session contains further structured assessment and is concluded with developmental critique. Participants receive a graduation diploma stating specific training and assessments undertaken as part of the advanced diving mentorship program. Please visit the course costs page for details. All my clinics and workshops are 100% flexible – so I can consult with you to design training to meet your needs, timescale and budget.